Article marketing is a form of advertising whereby you write informative articles and submit them to various places on the internet. Article directories, blogs, and ezine publishers are a just a few places to submit your articles. Article marketing has actually been used long before the internet arrived. But, as with many forms of marketing, the internet has expanded the possibilities of article marketing to help make it a much more powerful tool in your advertising arsenal. The main goal of your article marketing campaign should be to attract people, connect with people and get them to visit your site. If you execute any or all of the following, you more than likely will kill your marketing campaign without accomplishing those goals. 1. Using Your Article to Sell – The purpose of writing an article is not to make a sale. The purpose of your article is to provide helpful information, get people’s attention and attract them to your site. Do not try to sell directly from your article. This will completely discourage people from taking a look at you or your website. 2. Not Following Guidelines When Submitting – When submitting your article to blogs, directories and other business owners, always read and follow their submission rules and guidelines. Some people will want a certain amount of words, some might want a certain format, etc. Always respect what they want and provide it for them. 3. Not Focusing on Your Readers’ Needs – You are writing this article for other people so be sure to focus on information and resources they might need. Do not focus on what you need from this article. Have you ever read an article that was loaded with fluff (a lot of words but no real information)? I know I have so be sure not to fluff up your article with useless dribble. Put yourself in your reader’s shoes and provide information that can actually be utilized. 4. Not Writing an Effective Resource Box – Your resource box is the one part of the article where you can promote yourself and your business. Use this space wisely. Try to offer something free in your resource box along with a simple and fast call to action. Write your resource box in third person, not as yourself. 5. Not Using Relevant Keywords – Using relevant keywords throughout your article will greatly increase the chances of your article being read by more people. Be sure to do some keyword research and use the most sought after search terms for your subject matter. Be sure to use relevant keywords in your title as well. Do not oversaturate your article with keywords. The general guideline is 2-3 keywords per 500 word article. 6. Your Article is Too Long or Too Short –EzineArticles.com, one of the top article directories, states that articles between 400 and 700 words will perform better in the way of reader views, click-throughs and syndication. But again, be sure to read the submission sites’ guidelines as to what they want in the way of length. If your articles are too long, people will just stop reading because of lack of time or just plain boredom. You want to pack more info in a shorter length of article for more response. 7. Using Bad Grammar – Bad grammar will make you seem unprofessional which will cause people to doubt and distrust you. Always write professionally and use correct grammar and spelling! This one should definitely be a given but I am always amazed by the large number of people who claim to be professionals but use kindergarten level grammar. 8. Not Building Relationships through Your Articles – One of the biggest ways to build your online business is by building relationships with people thereby gaining trust and respect. You can do this through your articles as well. Write your article as if you were talking directly to your readers. Be courteous, helpful and respectful. Show them that you sincerely want to help them by providing quality information and instruction. Do not come off as a know-it-all or braggart with your writing. 9. Not Proofreading Your Article – Always proofread your articles and blog posts. To make sure you do not miss anything, have a friend or family member read it for you. This will increase your chances of finding any errors. Unfortunately, I have, on occasion, forgotten to proofread my articles so I now have a family member read each and every one of my articles to ensure this does not happen. 10. Not Keeping it Simple – Unfortunately many people feel they have to use big words and try to write on a genius level for their article to be successful. This is definitely not true. You actually want to keep your article very straight-forward and basic. You are trying to relate to and connect with your readers, not pass a college exam. 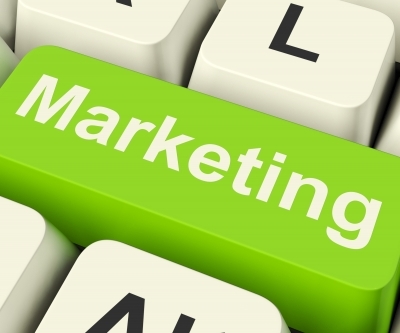 Article marketing can do a lot for your online business. Don’t feel that you have to have a degree in literature to write a proficient article. Just share your knowledge like you would with a friend and people will respond to your helpful, sincere tone. Boost your traffic, sales and success with this basic, but powerful marketing technique! Thank you so much Lorri. I appreciate your feedback! Good point! Thank you for your input.